AppSec at San-Jose was really fun. I was able to learn some good stuff. 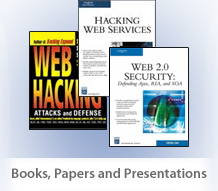 I talked on .NET Web Services Hacking. Here is my slide show.